Chattel. It means a movable article of property. Most of us have heard that women of the Middle Ages were considered chattel. They had no rights of their own, but were merely the property of the man who owned them. As such, they could be sold, traded, or married off against their will. It may not surprise you to learn that the term "chattel" comes from the medieval word for "cattle." That's right—women had about as much standing in society as COWS. And from some of the things we've all read, it's easy to believe this was true. I'm here to tell you that's not entirely accurate. While medieval women may not have enjoyed equality in all things, they had far more power and responsibility than we've been led to believe. 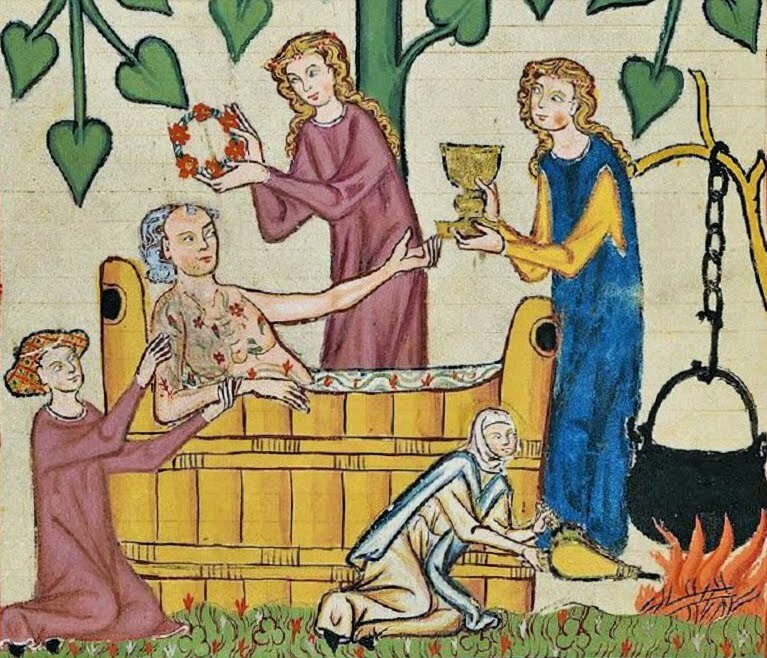 So why does this medieval "women as chattel" myth persist? 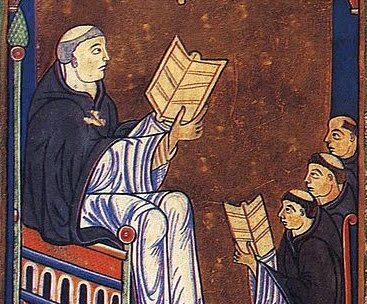 In the Middle Ages, priests made up the largest sector of the literate population. Therefore, they did the bulk of the reading and writing of the time. And they recorded the world the way they saw it. Here was a group that was exclusively men. Many of them were well-educated nobles that had been forced into their profession, not by choice, but because they were a spare heir—a second or third son who had to choose between living in the church and possibly dying in the king's army. They wore scratchy cassocks. They shaved their heads. They slept on straw and woke up at all hours to pray. Some of them took vows of silence. But above all, they were required to be celibate. Is it any wonder they were a little bitter toward women? To add to the misogyny, priests were taught that women had descended from that weak-willed temptress Eve, who had disobeyed God and screwed up the earthly Paradise of Eden for EVERYONE. In light of her obvious lack of judgment and morality, not to mention her wily ways, how could a woman ever be trusted with important decisions? It was only natural then that a man should make all the decisions for her. She should wed the man chosen for her, give him babies, and be subservient to him in every way. If you dig deeper—beyond the records of cranky priests—if you peruse business ledgers, official government documents, and personal letters, you find an entirely different portrait of medieval women. ♥ In feudal times, every lord owed his king 40 days per year of military service. For those several weeks that the lord was at war and away from home, his capable wife was usually left in charge of the household and castle defenses. ♥ When a professional member of a guild—such as a silversmith, a weaver, or a woodcarver—passed away, the guildsman's trade was often taken over by his wife. This included not only the craft work, but also running the business and keeping the accounts. ♥ Unmarried women who owned property through inheritance or widowhood were afforded the same rights and respect as their male counterparts with regards to the law. ♥ One of the most beloved and popular authors of love stories in the Middle Ages was a woman, Christine de Pizan. Not only was she a prolific romance novelist, but she was a women's rights activist who defended a more enlightened role for women in society in her utopian fiction, "The Book of the City of Ladies." 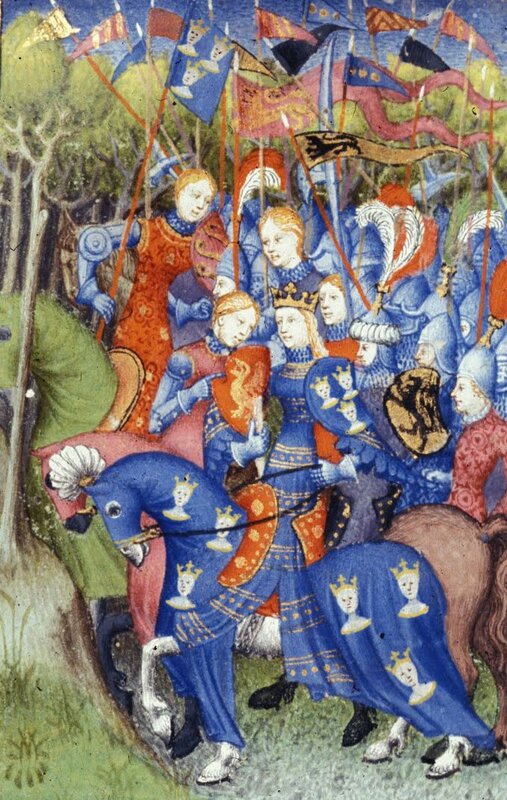 ♥ Medieval women sometimes donned armor and marched into battle. We know about Joan of Arc, but have you heard of Isabel of Conches, who rode with her husband's knights? What about "Fiery" Joanna of Flanders, who led her townspeople in fending off 300 attackers with stones? Or Matilda of Canossa, who had a 30-year military career? Even Christopher Columbus's patron, Queen Isabella, took to the field in full armor to command her troops. These women were clearly no spun-sugar damsels in distress. And this vision of empowered heroines is far more real and appealing to me. In MY CHAMPION, a pint-sized merchant dares to face down pirates. In LADY DANGER, a Scots maid in armor defends her clan with a blade. In MacADAM'S LASS, a tavern wench spies for Mary Queen of Scots. 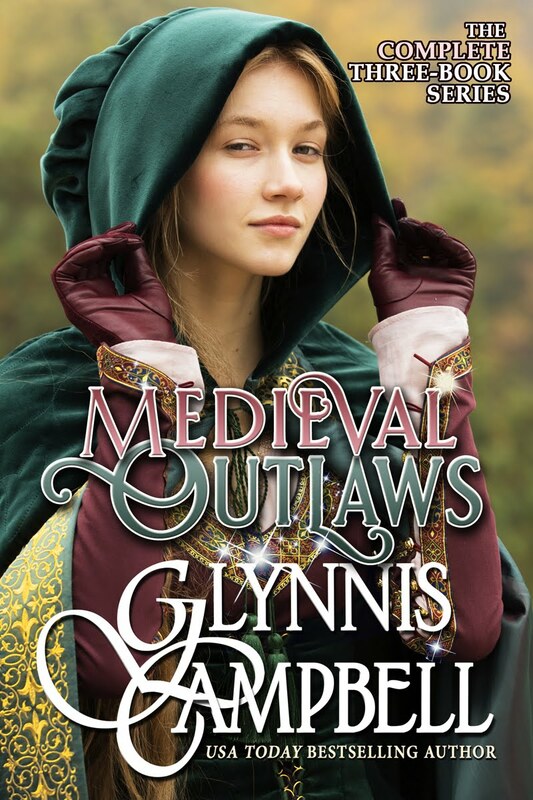 In MEDIEVAL OUTLAWS, a thieving urchin stands up to the local lawman, a runaway bride bargains with a dangerous outlaw, and a female Robin Hood holds a knight for ransom. And in my upcoming release, BRIDE OF FIRE, Book 1 of The Warrior Daughters of Rivenloch, a bold Scots lass challenges a Highlander for his claim to her castle. I love dreaming up female characters with adventure in their blood and take-no-prisoner attitudes. But it's even more exciting to create heroes strong enough to stand up to my heroines’ spirited ways, yet worthy enough to win their wild hearts. If you'd like to get up to speed with The Warrior Maids of Rivenloch before their daughters embark on new romantic adventures in BRIDE OF FIRE, here's the discounted boxed set! Damsels in shining armor...riding to the rescue! 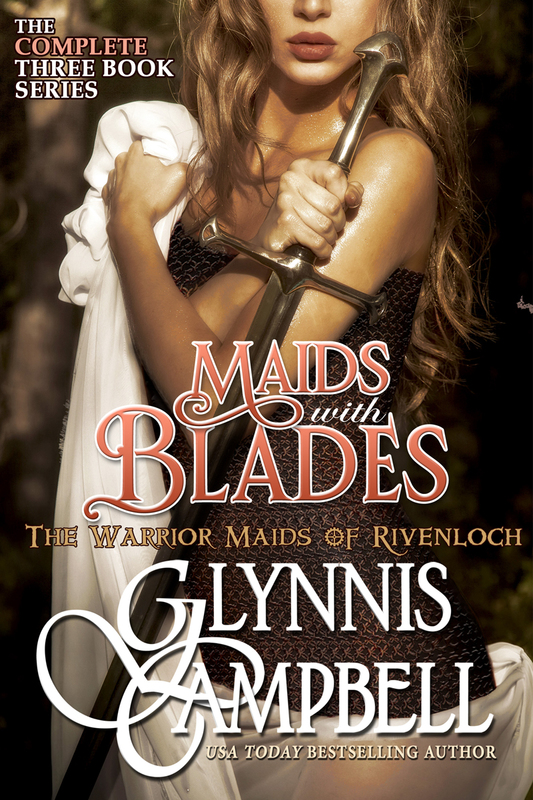 Deirdre, Helena, and Miriel, three kick-arse Scots wenches known as The Warrior Maids of Rivenloch, aren’t about to become any man’s chattel, until they meet heroes who are strong enough to tame their wild ways and worthy enough to win their wayward hearts. A beautiful female warrior has never had trouble turning away men, but when she marries a powerful lord to save her sister, she soon finds herself losing the battle over her heart. A fierce warrior maid tries to save her sister from marriage by abducting the groom's right-hand man, a plan that goes awry when her hostage is all-too-willing to succumb to her demands. A lovely lady with a secret proves a welcome but dangerous distraction for a mercenary bent on hunting down the mysterious outlaw known as the Shadow. Give me the juicy details! Leave a comment below, and on Friday, I'll choose three winners to receive a signed copy* of my anthology of novellas, SCOTTISH BRIDES! ♥ Giveaway ends at 11:59pm GMT on February 8th. You must be 18 or older to enter. 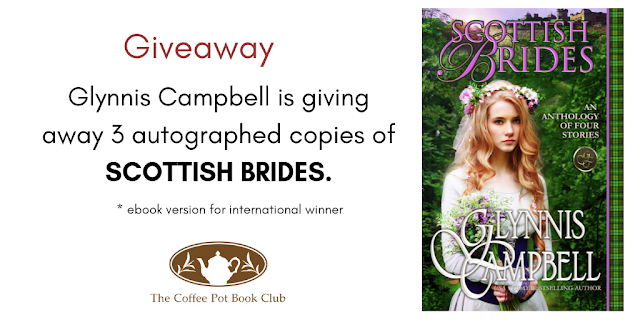 ♥ Giveaway is open to Internationally. *International winners will receive ebook version. ♥ Only one entry per household. ♥ All giveaway entrants agree to be honest and not cheat the systems; any suspect of fraud is decided upon by blog/site owner and the sponsor, and entrants may be disqualified at our discretion. ♥ Winner has 48 hours to claim prize or new winner is chosen. 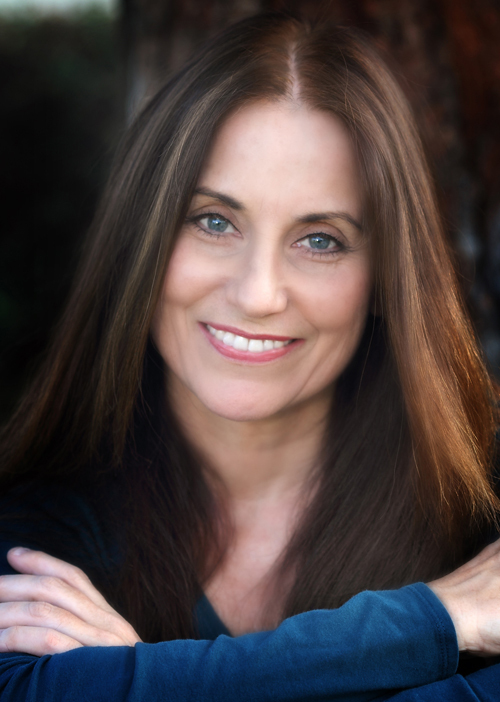 Glynnis Campbell is a USA Today bestselling author of swashbuckling "medieval action-adventure romances," mostly set in Scotland, with more than 20 books published in six languages. Glynnis once rocked in an all-girl band called The Pinups on CBS Records, did voiceovers for the MTV animated series, "The Maxx," Diablo and Starcraft videogames, and Star Wars audio adventures, and is married to a rock star. 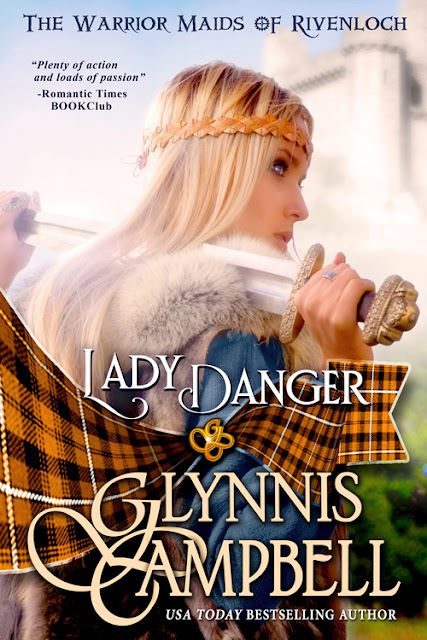 She loves to transport readers to a place where the bold heroes have endearing flaws, the women are stronger than they look, the land is lush and untamed, and chivalry is alive and well! Website ♥ Facebook ♥ Twitter ♥ Instagram ♥ Pinterest ♥ BookBub. I enjoyed your article and I agree with you, Glynnis, medieval women were not the subservient, docile creatures that the scribes would have us believe. I can remember my Daddy saying that I was "bull headed" when I was a teenager!! Well what did he expect,as he and Mama were very strong willed and hard headed themselves!! I don't recall ever holding a sword but I would like to. I do know how to shoot a gun, proficiently. I only had sisters and Daddy made sure to teach us so we would be able to protect ourselves. Thank you, Penny! And mama k, you're very lucky to have had such a brilliant Daddy! Nice article. And I also agree, medieval women were misrepresented by the scribes. Glynnis, I enjoyed your article very much. I've never held a sword, but I'm proficient with firearms. I have to admit that I've never held a sword, unless I was drunk and don't remember! Unfortunately I've never held a sword before but definitely would like to try. ❤ But I did held a rifle before when I was in highschool for our military training..
Military training, Jhommie?!? You ARE a kick-arse warrior! The only sword I’ve ever held we bought at a Flea market . 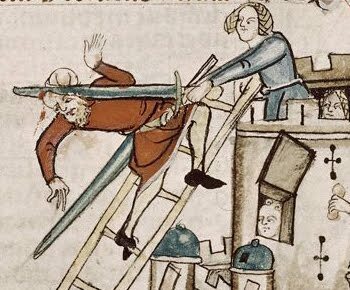 I am glad I did not live in medieval times. Some of the women did ok tho after their husbands does sounds like ! I agree, Ann, I'm not sure I would ACTUALLY want to live in medieval times. I kind of like having a sewer system, for one thing--ha ha! I never had a actual sword but I used to pretend play with a sword when i was little!! Some of the women in medieval times were so awesome!! Hi Chasity! When I was first published, I took my sword to all my Scottish festival booksignings. The biggest-selling item at the booth where I signed was plastic swords for kids! I enjoyed your article. I have also heard that clergy regarded women as evil (Eve) and had to be dealt with accordingly. ugh. I haven't held a real sword only a silly plastic one. I think I might accidentally cut my toe off if I tried to wield a real one. You're right, Suzannah, Eve got a lot of blame! I've never held a sword. Having to hold a gun at the shooting range for my work team building was enough for me. Let's face it, I'd be in trouble if I ever needed to defend myself. Wow, Jan, what kind of team building was that?!? Seeing how long you could resist shooting your work partner? LOL! I've never handled a sword. I grew up with guns and my husband was in law enforcement for 38 years. I've shot: 357 magnum,22, shotgun and a rifle. Gee, Margaret, it sounds like you're for sure a kick-arse woman! Hi Glyniss and Mary Anne, Very interesting article. I agree that the church had much to do with the status of women. I've always believed that women have always been much stronger and held more power than history gives credit. We all know how women can manuver a man ( I don't like the term manipulate)! I can't recall ever holding a sword but I grew up in a hunting family including my mama and grandma so I have shot shotguns but have no interest in killing animals. Such a great post, Glyniss. I have held lots of swords, well fencing ones. My son use to fence a lot when he was younger. He even made it to the British Youth Championship twice and he used to train with the same school where the World Youth Champion trained. He fought him a few times as well, but always got thrashed, and had the bruises to prove it! I'm envious, Mary Anne! I always wanted to take fencing! How exciting to have a champion in the family! It was very exciting at the time! love the information, love great strong women characters, My husband and son both collect swords do i have held plenty of them the largest one was about 3ft from top of handle to the point of sword, i could not pick it up to fight with it. really not high at all. I can feel my sword envy kicking in, Mary! I just have one blade, but I used to drool over the swords in the shops at Scottish festivals I attended. the only swords I've held was my boy's toy swords when they were small, i was having to take them away and hide them for a while, so they won't hurt their sisters with them. I have a shorter dragon's sword. A dragon's sword, Chrystal? I've never heard of that! Sounds cool. Fascinating! We also must remember that it says, right in the Bible, that P.M.S. and labor are punishment for Eve's transgression. Woohoo for bitter men -may as well lay all the woes of the world at women's feet! Ha ha! Too true, Kirsten! Loved the article. I was already aware of quite a bit of the information you pointed out though I didn't know about all the women who donned armor and went to battle. I have never held a sword. It would have to be a toy sword now because have too much arthritis in hands. Yes, I used to fence when I was a child (epee). I won a few competitions, but I found it a little to violent for my taste - which I know sounds stupid, considering you are fighting with swords, but even with the protective clothing and the blunted (foiled) tip, boy can those blades pack a punch and leave you with some horrible bruises. Wow, Beatrice, so cool! I'd heard that about competitive fencing--that it can beat you up pretty badly--but you are a survivor! I love learning facts like this. I love stories of powerful and strong women. No I haven't held a sword in this life except for maybe a kids plastic one and even then I don't recall having done so. For some reason i think they would be super heavy. If that was the case I would probably chop a vital body part off. So probably best I don't try. I hope you'll try out my books, Sarez! I love stories about capable women, too. Swords ARE heavy--I used to lug one to booksignings. Great post- love the details! Yes, I have held a sword many times! My sons have made them with my hubby (usually for English lit & Shakespeare Fest). The last one was for Klondike (Boy Scout Winter Skills Campout)... it was Viking themed. That sword (a battle axe & round shield too) had to be made of wood. They've also made a Medieval Shield of all metal... THAT was heavy! My 2nd oldest son fenced & I held his rapier a few times (very light!) The last metal sword I held was at the Smoky Mountains in the knife works. If you send me an email author@maryanneyarde.com that would be fabulous!